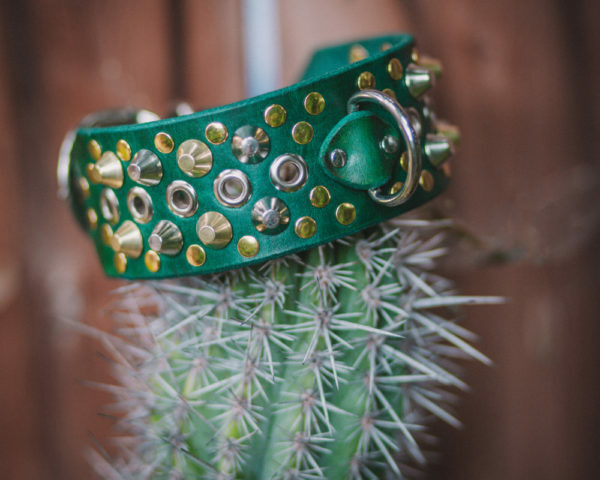 Unleash your dog’s inner party animal with this bold collar! 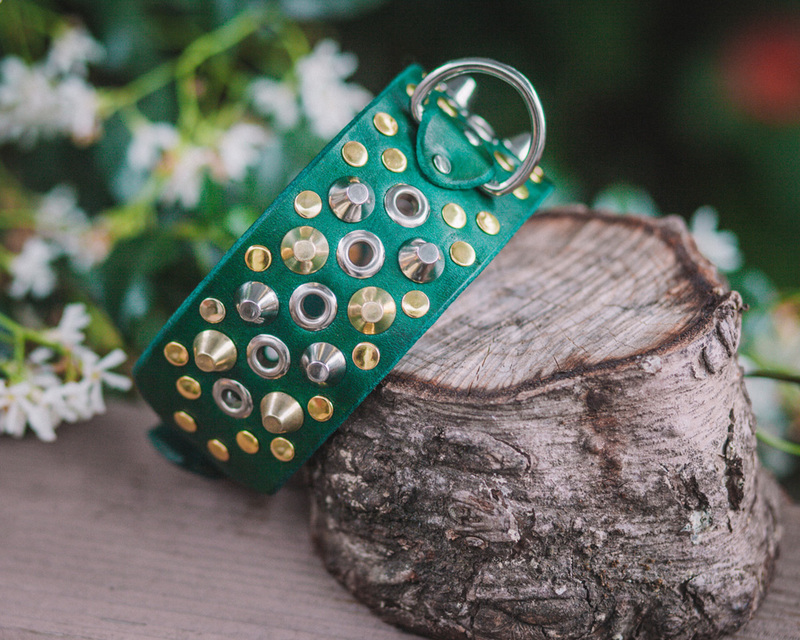 Brightly colored leather is paired with an elegant mix of polished nickel and brass hardware to create a vibrant collar that’s sure to impress all who see it! 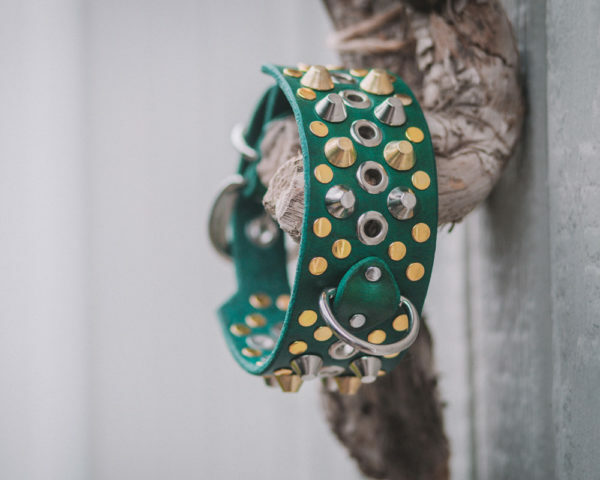 It features a double dee ring design with a dee on the back of the collar and one on the front, by the buckle. Please enter your dog's neck size. (Ex: 16.5") Your collar will restrict down to this size to prevent slippage. 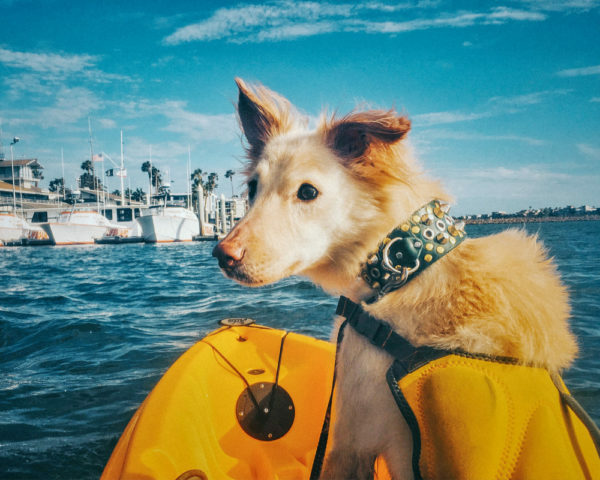 Please select the hardware color for your collar.